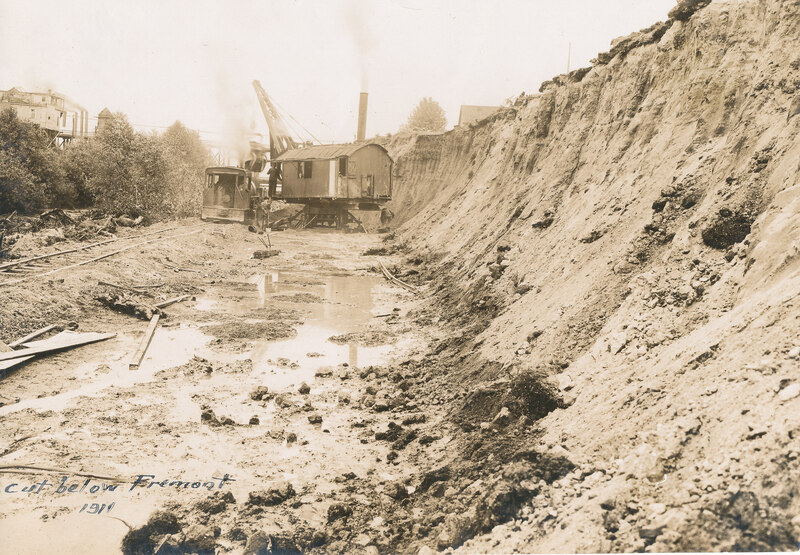 Army Corps of Engineers photos–digging the Ship Canal Above: Steam shovel digging the canal in Fremont in 1911: Looking east from a location south of N. 34th, between Evanston Ave N. and Phinney Ave N. Left, bottom: 1912 photo taken from a temporary wooden bridge in Fremont. 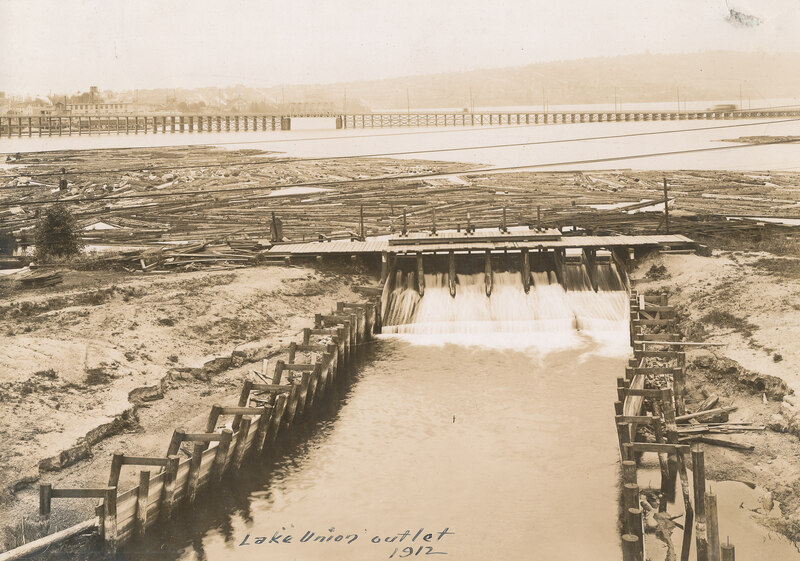 Looking east towards Capitol Hill. Note the temporary bridge from Stone Way N. to Westlake — with blurred image of a streetcar on the bridge. 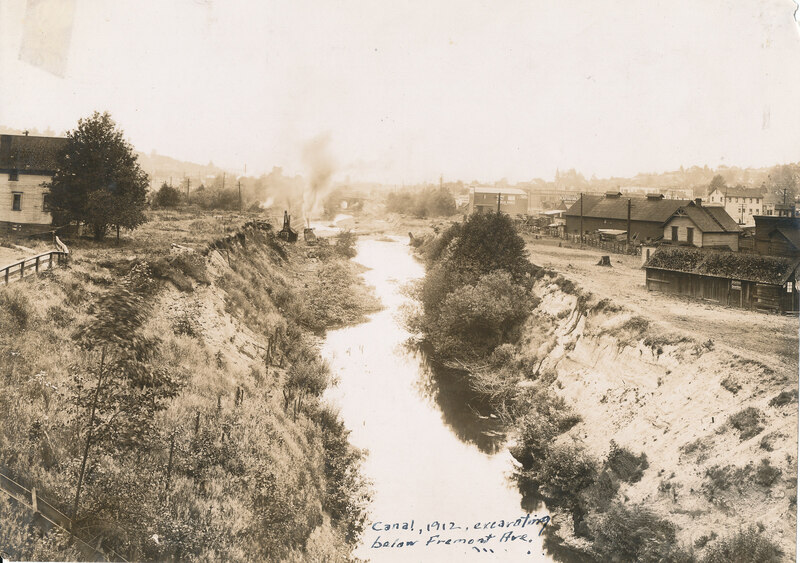 Left, top: 1912 photo taken looking west towards Ballard from Fremont. The smoke is from a steam shovel working on the Queen Anne side of the canal.